I had a little time today to scan social media for articles of interest regarding conservation. It didn’t take long to find some! Here is a great overview of the recent federal legislation that passed, nearly doubling tax incentives for landowners to protect their property from development. 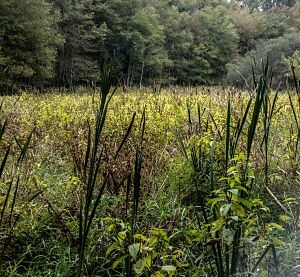 The LTA (Land Trust Alliance) has provided an enormous amount of work and support to see this bill through and considers this “the most significant conservation legislation in the past 20 years.” While this article comes out of Michigan, the information is relevant to everyone: Tax Incentives for Landowners. In other news, the WLT recently held an informative program on invasive species. Recent research highlights exactly how invasive the invasive species problem is. One scary statistic is highlighted: “Eastern forests have higher invasion-intensity — that is, a higher percentage of FIA sample sites containing invasive plants of concern in the region or individual states within — than western forests (46 percent vs. 11 percent).” More information on the study here: Invasive Species Study. Richard Luov is co-founder of the Children & Nature Network. One benefit of conservation that we particularly want to celebrate is the researched and proven health benefits–particularly to children–that coincide with protecting our natural world. Here are some positive “stories and trends” of the past year that the Network’s site provides: Communities and Nature in 2015. When it’s too easy to find bad news and negativity, it’s encouraging to find link-minded places for optimism and a positive outlook for conservation awareness. If you have any thoughts or comments on what you’ve read or would like to contribute your own conservation-related writing to our blog, please let us know! 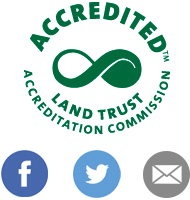 Reach us on facebook or twitter, or email via the site: info@warehamlandtrust.org.